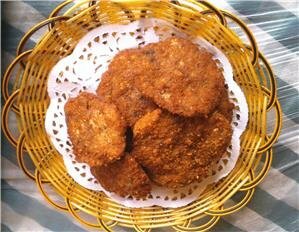 China has a well-renowned food culture, replete with everything from the standard fast food fare to the downright exotic. Nestled in between these two extremes is an incredible array of dumplings, steamed buns and other small plates, often referred to as dim sum. Xiaolongbao, a favorite of dim sum eaters around the globe, are considered to be a Shanghai specialty, rumored to have originated here in the 19th century. Legend has it that this world-renowned snack started out as an experiment by a cake shop owner in Nanxiang who decided to try out a riff on his popular steamed bread. 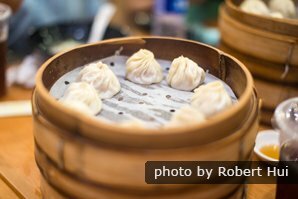 These "soup dumplings" are most commonly filled with pork or crab, wrapped in aspic and then tucked inside a thin flour wrapper. Served in a bamboo steamer, the heat from the steam causes the aspic to melt, creating a succulent soup within the dumpling. Odd as this might sound to the novice Chinese foodie, these little snacks keep locals and visitors alike waiting in hour-long lines just for the chance to tuck into a steamer full. Typically served with ginger laced vinegar, be careful when you bite in, as they&apos;re famous for scalding the unsuspecting palate. With Shanghai&apos;s extensive subway system, Nanxiang, the birthplace of xiaolongbao, is now accessible by metro making it an easy half-day excursion. 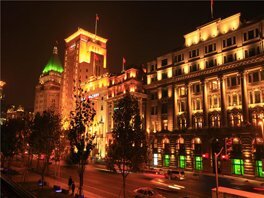 Like all suburbs, this little sleepy village has long been swallowed up in Shanghai&apos;s expansive sprawl and at first glance resembles a typical suburb—the city is filled with sky scrapers, modern thoroughfares and a mall boasting KFC, Starbucks, and Pizza Hut among other chains. But 1.5km from the metro stop, tucked in the middle of the bustle, is a preserved section of the old town. Two gardens, including Guyi Garden—the original birthplace of the cake shop owner&apos;s happy experiment—remain open and well maintained, a small museum has been erected over the ruins of the original city foundation and a few old lanes provide a glimpse into the past. Sitting in a cozy old eatery, snacking on soup-filled dumplings and watching the locals gossip over tea, Nanxiang is as much as foodie&apos;s pilgrimage as it is a bite of history. 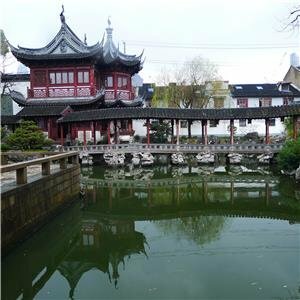 A visit to Nanxiang is easily added to our fully customizable Shanghai tours. Simply make an inquiry about a tour you are interested in and let us know what else you would like to do. We at China Highlights are tour tailor-making experts, so you can also start from scratch with your requirements and we&apos;ll quote you a price. Take metro line 11 (direction Jiading) to Nanxiang station. Take Exit 1 and walk south along Huyi highway for approximately 15 minutes. Alternatively, take bus 2 to the first stop, which will drop you off right outside the garden. 9 a.m. – 9:30 p.m.